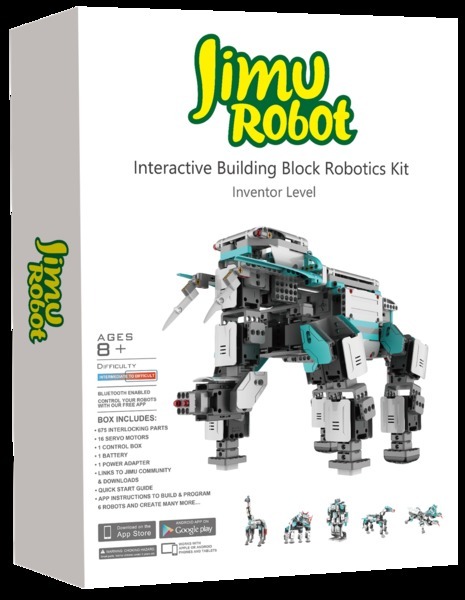 Jimu Robot Inventor Kit is the award winning interactive robotic building block system for ages 8 and up. 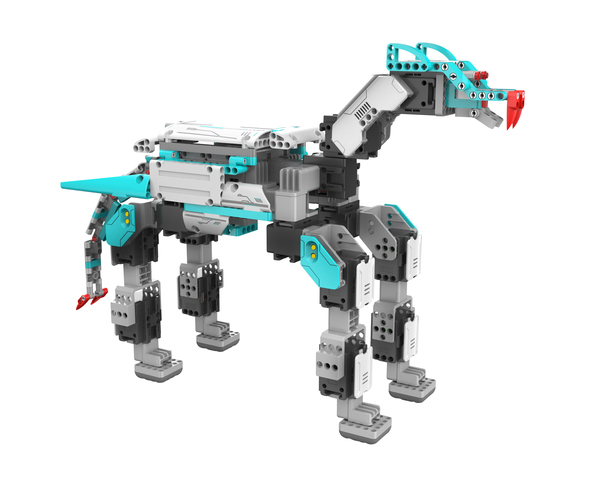 It gets you rolling with robotic construction and coding just by using the free Jimu Robot app on your phone and tablet. 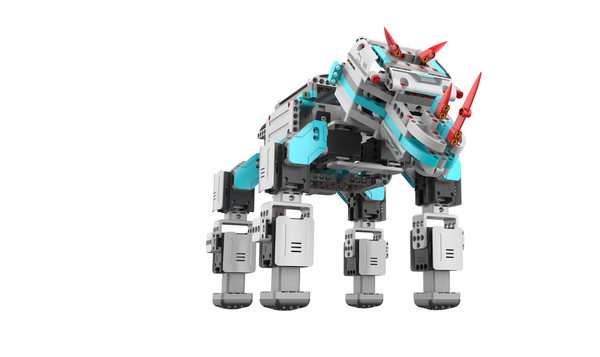 You can build and program up to 6 pre-designed animal and humanoid robot characters. 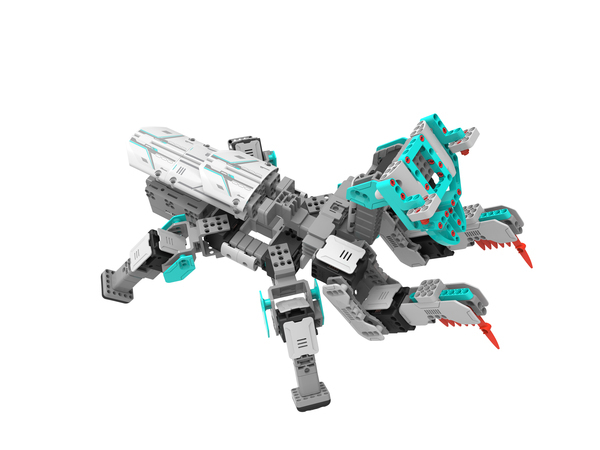 This kit includes everything you need to build up your own creations too! 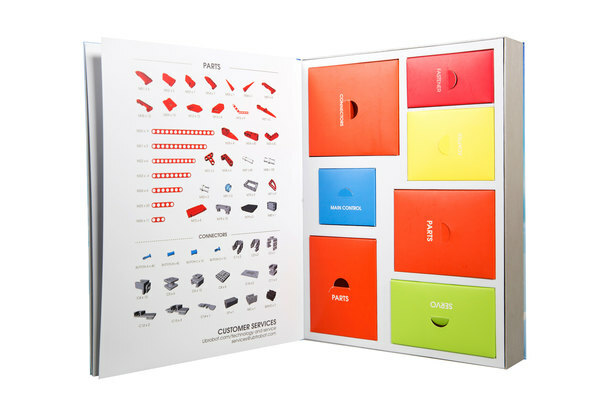 The JIMU Robot Inventor Kit comes in multiple interchangeable shapes. 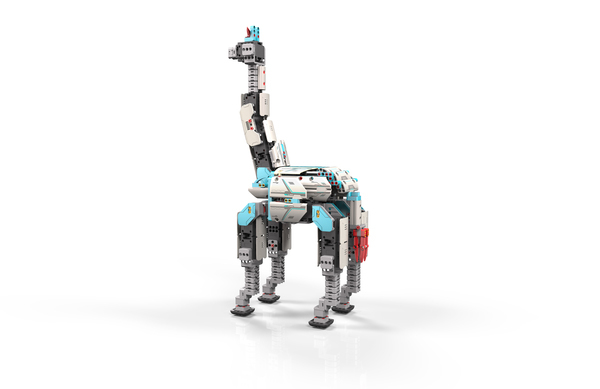 The Interlocking pieces can be snapped together without tools to create pre-designed characters or use your imagination to create your own designs. Here are the six predesigned characters: Elephant, Human, Giraffe， Mantis, Rhino, Wolf. 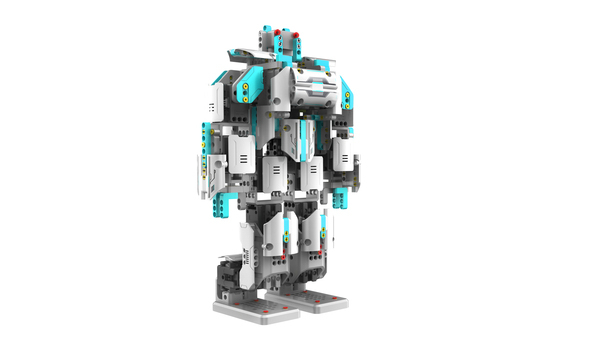 The app-based 3D building instruction is with a 360-spin feature for fast, fun construction of pre-designed characters. 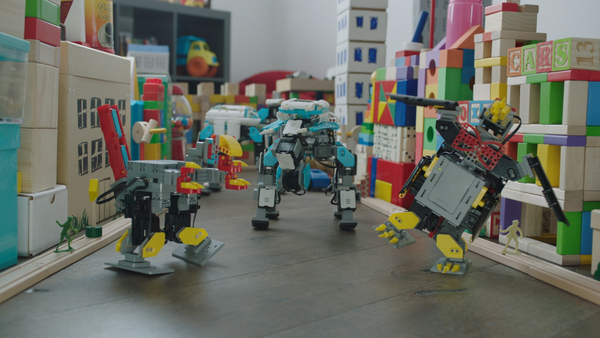 You can play with robots by pre-programmed actions or program your own by simply posing, recording and playing back movements. 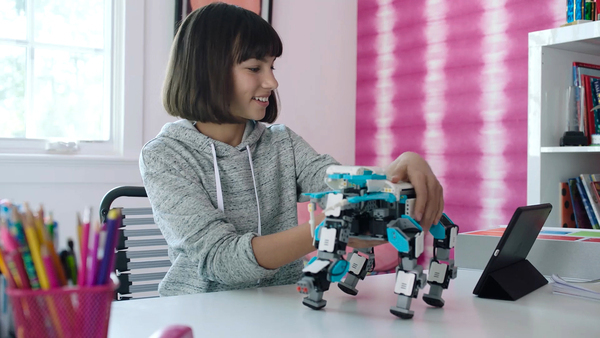 The intuitive Jimu Robot Blockly programming interface makes it easy for you to learn coding. 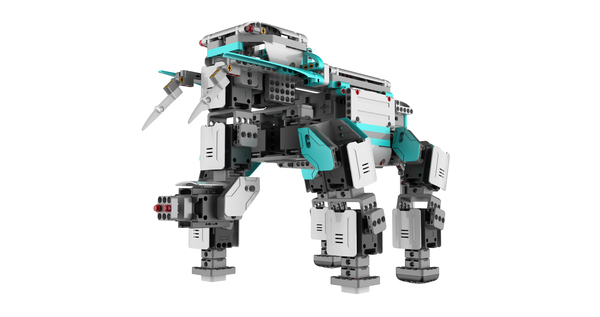 You can upload & share your robot images and video online, or be inspired by the creations of other inventors. S.T.E.M. learning just got a lot more fun. Jimu Robot teaches kids computational thinking and focuses on the real world applications of problem solving. 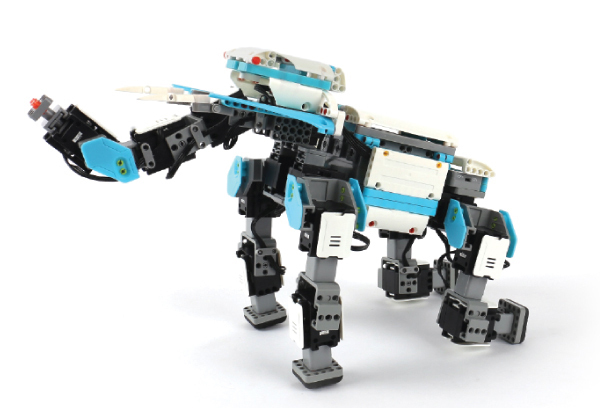 Jimu Robot inventors expand their understanding and mastery of critical thinking. 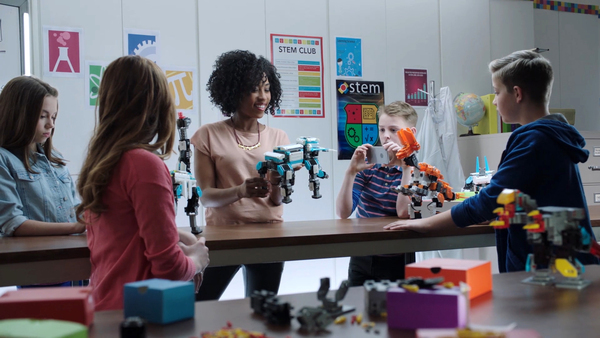 Today, robotic education will prove to be an essential bridge to the future of innovation. 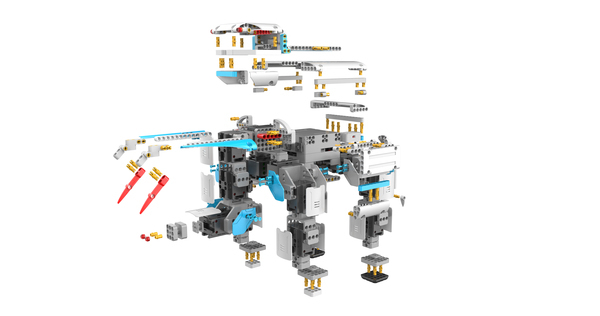 A strong grasp of robotic functioning and programming will prepare kids for a future.